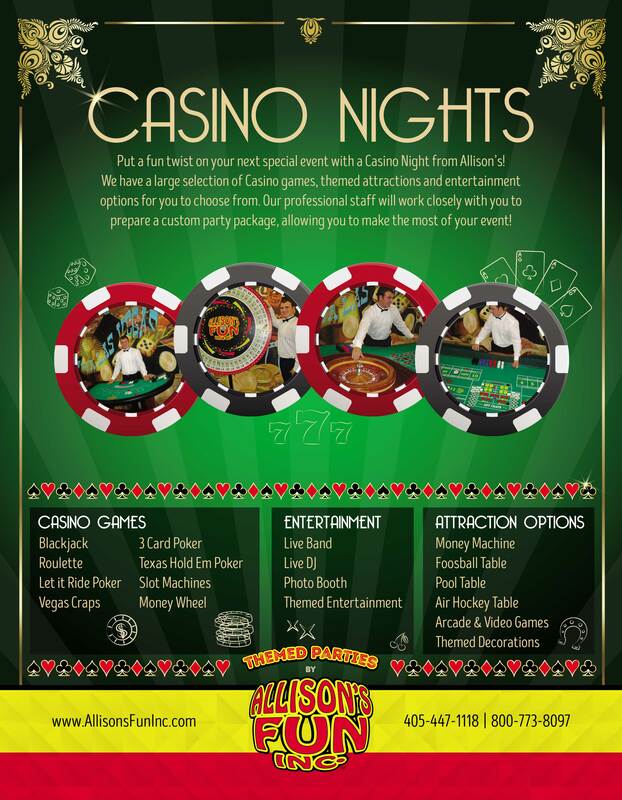 Casino Events - Allison's Fun Inc.
Blackjack, Craps, Roulette, Slot Machines, Let It Ride Poker and much, much more. Let the fun begin! 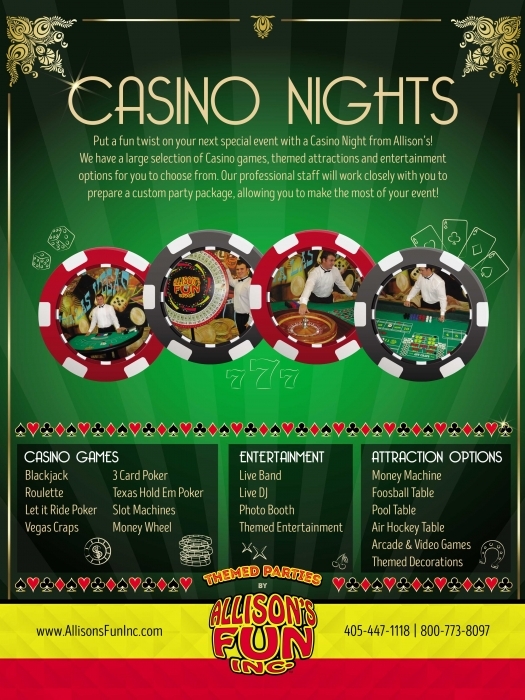 Casino Nights add a new twist of excitement to an ordinary event. Let your guests relax, laugh and win BIG! We have many packages to choose from, however we do prefer to customize your event to better suit your needs. Call a sales representative today and ask how we can transform any banquet or function into a Casino Night Extravaganza! Visit our Inventory section and click Casino to see pictures of our beautiful Casino Tables. To see everything in action watch our Casino video below!